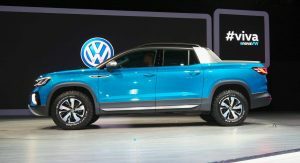 Following last week’s teaser, VW has fully uncovered its new Tarok pickup concept at the Sao Paulo International Motor Show in Brazil. 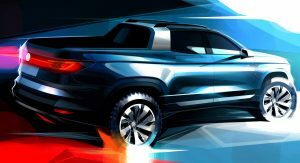 Calling it a concept is a bit of a stretch, however, as the pick-up truck looks quite production-ready to us. 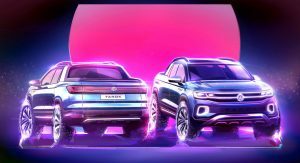 VW confirms it by saying it “will soon be offering a series version of the Tarok Concept on the market in Brazil, with barely any changes.” While that’s a certainty, we’re more interested whether the Tarok will arrive in other markets as well. 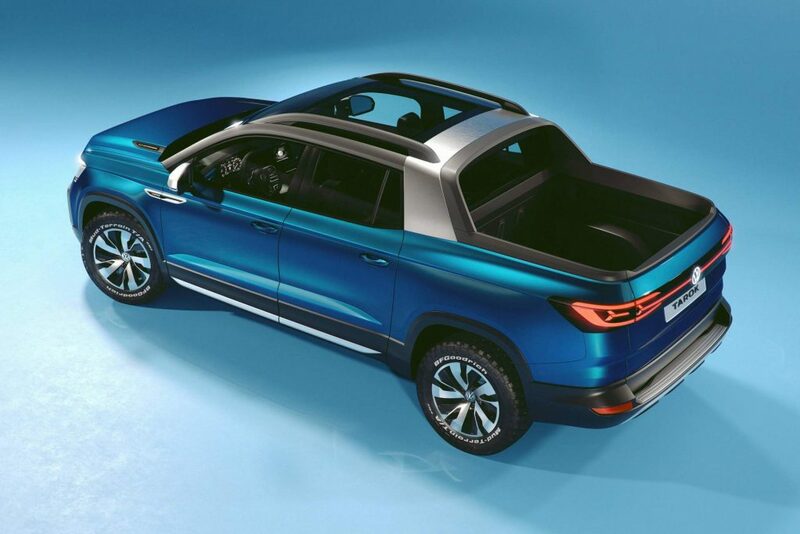 VW describes the Tarok as a combination between a “digitally networked SUV” and a “cleverly designed five-meter (196.8in) pick-up.” That means the Tarok is slightly smaller than the Amarok and less work-oriented. 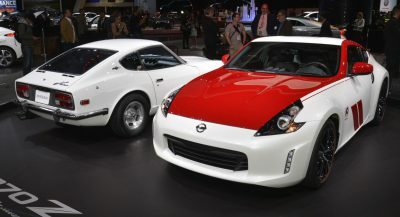 Not that it can’t play the role of a workhorse occasionally, but it’s more lifestyle-oriented than its larger sibling. 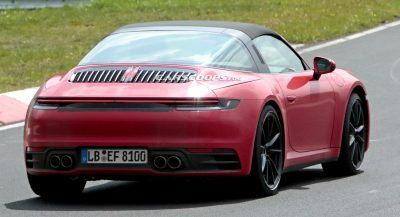 The design suggests that, with the bed and the bodywork forming one whole piece. Speaking of the bed, the Tarok’s defining feature is the variable loading area that communicates with the cabin. 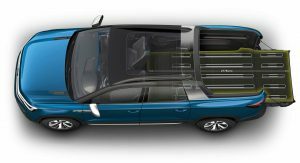 Essentially, the bed can be extended thanks to the folding rear panel that connects it with the five-seat double cab. 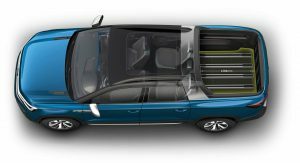 As a result, the Tarok offers a maximum payload of around one tonne (2,204 lbs). 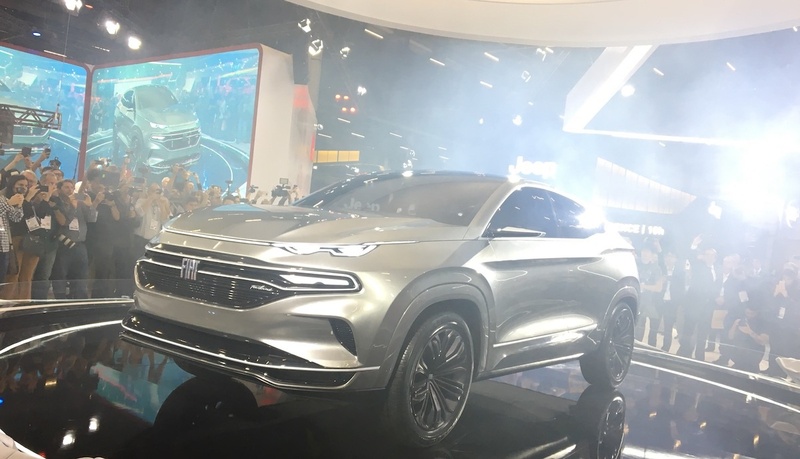 Design highlights include the Targa-inspired roof bar, a front end that reminds of the Atlas Tanoak Concept, and a three-dimensional LED lighting strip on the tailgate. 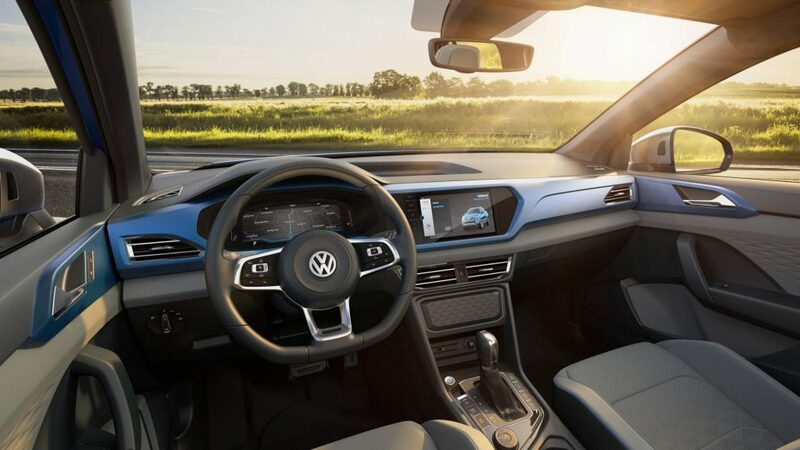 Inside, the pre-production study reveals a modern dashboard with a virtual cockpit doubled by a big central touchscreen covered with glass. Even the controls for the air conditioning unit are digital — you can’t see them in the photo because they’re protected by a plastic cover. 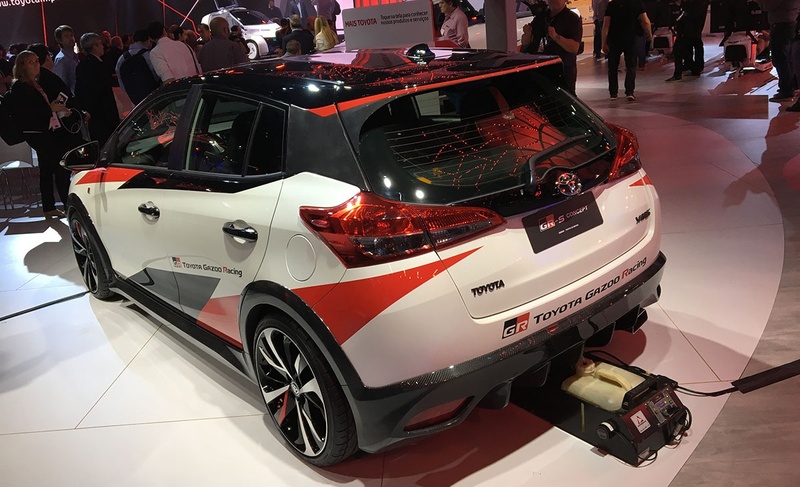 Visually connecting the interior with the exterior is a color-keyed crossbar in Cypress Metallic. 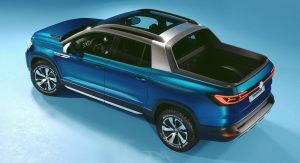 Another hint that this is no ordinary pickup is the fact that the Tarok Concept uses VW’s ubiquitous MQB passenger car platform. 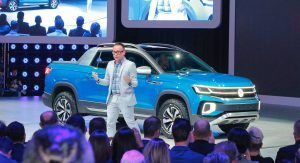 The show vehicle features a 150PS (148hp) 1.4-liter TSI four-cylinder engine that drinks both pure ethanol (E100) and a gasoline-ethanol blend (E22). 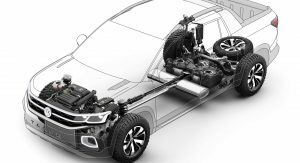 The power plant is linked to a six-speed automatic gearbox and permanent 4Motion all-wheel drive. 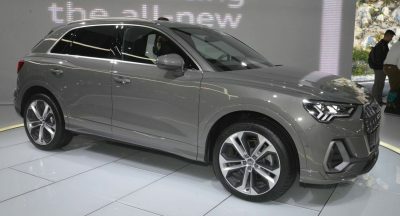 The production model will also feature a 2.0-liter TDI turbo diesel unit with the same power output. 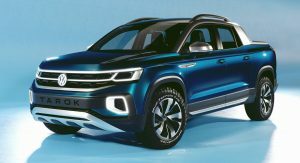 VW didn’t say which other markets will get the Tarok but the United States looks an unlikely destination because of the pickup’s small size. 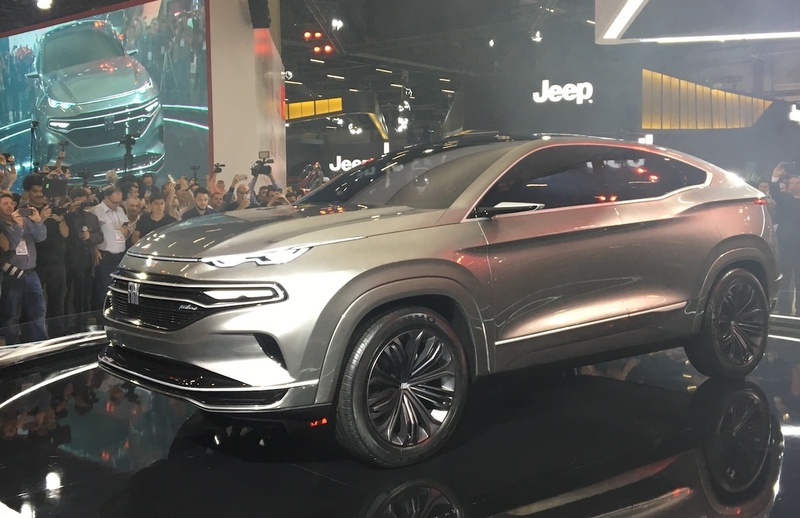 Ok.. I’m interested… looks decent and elegant yet simple. It can’t play the “role of a workhorse” period. 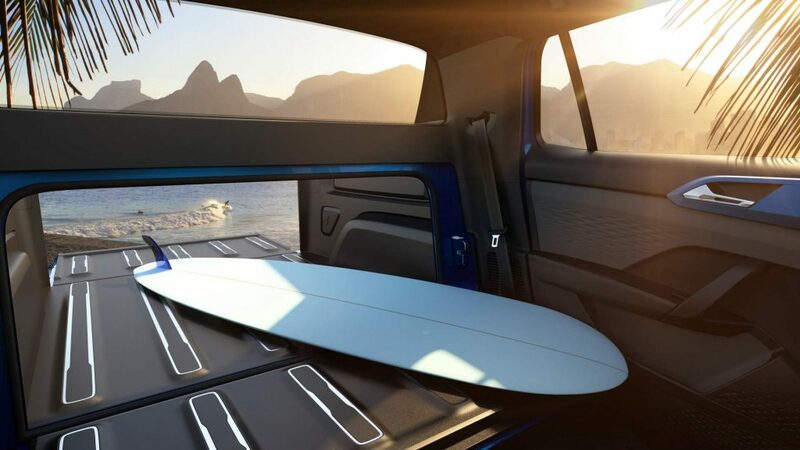 It’s a light-duty car-platform based lifestyle vehicle. 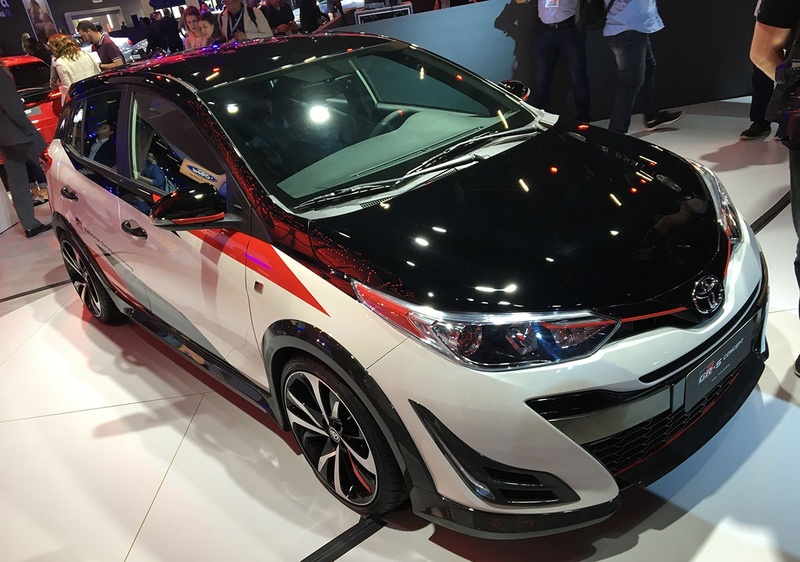 It has a transverse front-wheel drive powertrain with front-wheel drive biased all-wheel drive. 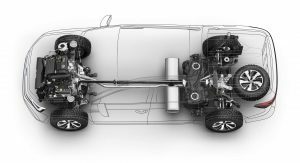 It doesn’t have a rugged transfer case, since transfer cases only work with longitudinal powertrains. No low range gearing. 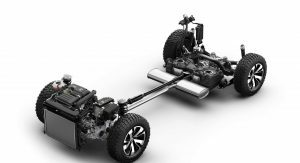 Instead of a transfer case, it uses a power take off (PTO) up front, and a rear driveline module (RDM). 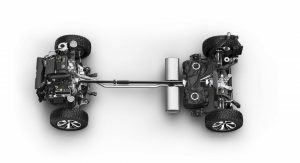 The PTO and RDM are connected to one another via a single multi-piece drive shaft. Here’s hoping they release this elsewhere – can already think of a few places where this would sell rockets. Cool. Want something like this. 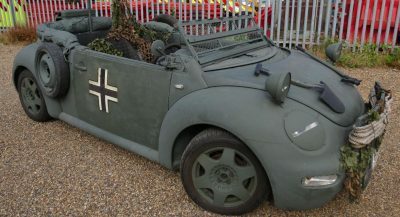 I’d have one in a heartbeat. 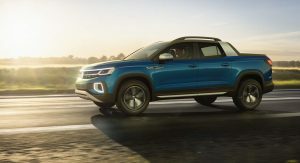 But try and explain to the Europeans why a pick-up can be a lifestyle vehicle and they get totally gobsmacked and start running around in circles. 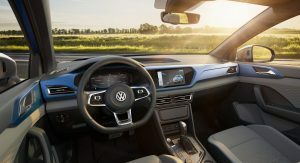 I hope you’re right about RHD production – VW Australia is been cagey about this one which is a first! As long as South Africa and Australia but there bids in early I guess they would be allocated production. 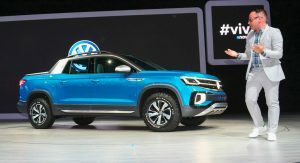 Only negative is VW would be the first in this fairly new segment unless you count the SsangYong Musso (in Australia).